It takes a trained eye to keep your plumbing running smoothly. At Vito Services, our expert plumbers have seen it all—the good, the bad and the downright ugly! Whether your pipes need cleaning or your sewer line needs to be replaced, we'll recommend an affordable solution you can trust for plumbing services in the Washington, DC, area and beyond. Once something goes down the drain, you don't want to see it again. If you're having a problem with your drains, we'll get to the bottom of it using our sewer video technology. 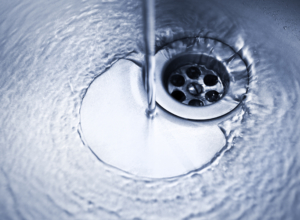 From there, we'll provide thorough drain cleaning service, making your drains one less thing to worry about. Nothing matters more on a cold winter's night than reliable heat. As Alexandria, VA's, HVAC company, Vito Services installs, repairs and maintains today's leading brands to help you stay cozy all season long. 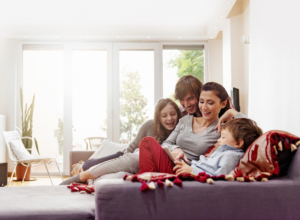 We've been performing heating services such as furnace repair and boiler repair for many years—and we guarantee you'll be impressed with our residential HVAC service. When the heat comes bearing down, your air conditioned home is your sanctuary. We'll make sure it stays that way with our complete air conditioning services. 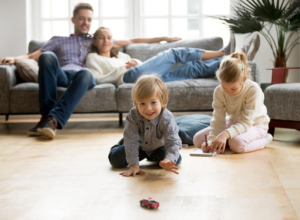 Whether you live in Montgomery County, MD, (Rockville, MD), Prince George's County, MD, or elsewhere in our service area, count on the HVAC contractors at Vito Services to provide cool solutions, cool savings and even cooler results. Your plumbing says a lot about your business—especially if it isn't up to par. When you partner with Vito Services, we'll ensure your plumbing paints the professional and trustworthy image you've worked hard to build. From commercial fixture installations to toilet repairs, we'll address all of your plumbing needs. Spend less time stressing over the leaking sink and more time focused on what really matters: your business! Comfy customers are happy customers! The HVAC contractors at Vito Services are trained to install and service commercial and rooftop units. More importantly, we can help your business reap the rewards of an energy-efficient, long-lasting system. We can even custom design your ductwork based on your facility, comfort needs, budget and more. Reliable heating and cooling systems are essential components to any successful business. And when you choose Vito for HVAC services, we'll make them one of your greatest assets. Why Choose Vito Services as Your Plumbing and HVAC Company? Quality Is in the Name. No matter where you call home, whether it’s Rockville, MD, in Montgomery County or Bladensburg, MD, in Prince George’s County, Vito Services contractors are here to make your life better. It’s why we first opened our doors many years ago—and why customers still choose us today. I called in Vito because my water heater was leaking at the bottom. They sent a sales manager the same day and had my water heater replaced within the same week. I was satisfied with their promptness. Price was fair. I did compare prices. Professional. Have recommended to friends and family already. Thanks Vito team. Air conditioner stopped working late on a Friday night. We called many different companies. Most couldn’t come until next week . Vito sent a technician on Saturday. He was great. The air is now working. YAY! This was my first time using Vito Services for plumbing needs. Scheduling was easy and flexible to meet my needs. The technician was efficient with his assessment and was able to identify and solve my difficulty with garbage disposal. I will call them again when the need arises. The more you care for your HVAC and plumbing equipment, the more you’ll get out of it. And there’s no easier way to do this than by joining our Service Club. As a member, we’ll do all the heavy lifting for you! This includes seasonal maintenance inspections, 15 percent discounts on heating, cooling and plumbing services, a transferable membership and much more. Most importantly, you’ll have year-round peace of mind that your equipment is working properly and saving you as much money as possible. Trust us when we say this is one club you’ll want to be a part of!